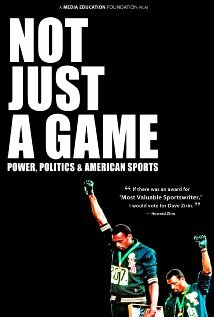 Dave Zirin is the first sportswriter in the 150-year history of The Nation magazine, and is the host of the Edge of Sports show on XM-Sirius radio. He is the subject of the new documentary Not Just a Game, directed by Jeremy Earp, and he joins us to discuss the film. Not Just a Game will be screened in Baltimore at 2640 St. Paul St. on March 29th as a benefit for the United Workers and the Algebra Project.